The laying on of hands usually takes place on the first Sunday of each month at the 10 a.m. Eucharist Service in the Parish Church. 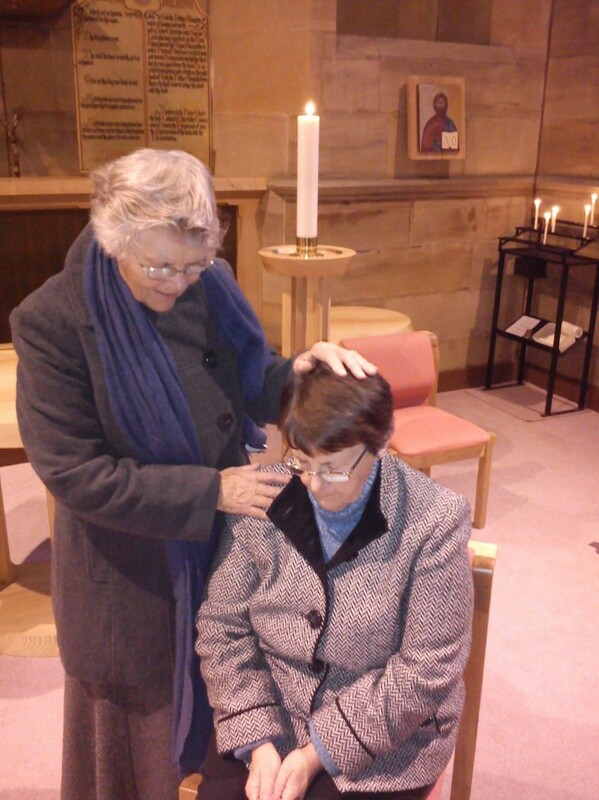 It is held in the Norman Mantle Chapel during communion where the congregation are invited to receive this ministry for themselves or on behalf of another. Intercessory prayers for the sick and those in need take place every day and the laying on of hands is another way in which we can support one another by personal intercession within our Parish family. “It is quite simply the difference Jesus Christ makes in body, mind and spirit and lifestyle to those who take Him seriously”. Canon Roy Lawrence.